Sunfare - How it Works! 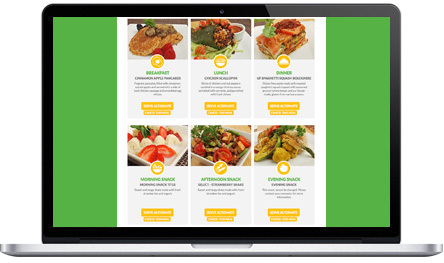 Healthy Meals Made Fresh and Delivered Daily. Becoming a Sunfare Client is easy. The first thing you’ll do is select a meal program. Each program has different features and benefits so you can pick the one that best suits your needs. Of course, if you need any help deciding which one is best for you, we’d love to talk to you about it! Give us a call anytime at 1.866.786.3273. After you pick a program, you can sign up right here on Sunfare.com. Just click the "Sign Up Today" link and you’ll be taken through a simple sign up process that should take about 15 minutes. We are also more than happy to sign you up via phone or fax. Once signed up, you’ll get a confirmation call from your "client counselor" to go over your information. We do this because we want to be sure we’ve got everything right before you get started. When your service officially begins your meals will be made fresh, packed on ice, and brought to your front door by 7:00 a.m. on your start date. Our sign up materials help us to get to know you a little better so we can start your Sunfare service with a bang. 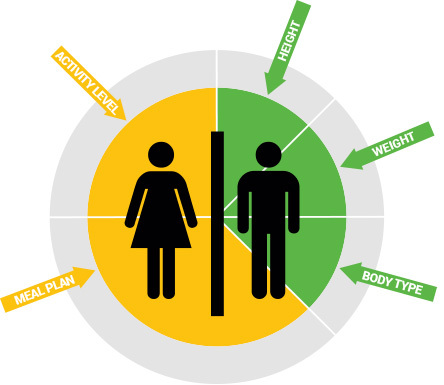 The information we gather will include details about your body type, activity level, sleeping habits, ingredient dislikes, and the type of meal plan you want. Each of these things will shape your Sunfare experience. For example, your dislike list tells us what ingredients you don’t like. This allows us to prepare your meals and snacks without those ingredients. The meal plan you choose will determine how many meals you get per day, and how many days of the week you want service. And finally, knowing your height, weight, and certain lifestyle habits will enable us to prepare your meals with just the right balance of calories and nutrients. Ultimately, we want to ensure that each of your meals is prepared according to your personal tastes, schedule, and dietary goals. When your service officially begins your meals will be made fresh, packed on ice, and brought to your front door by 7:00 a.m. on your start date. 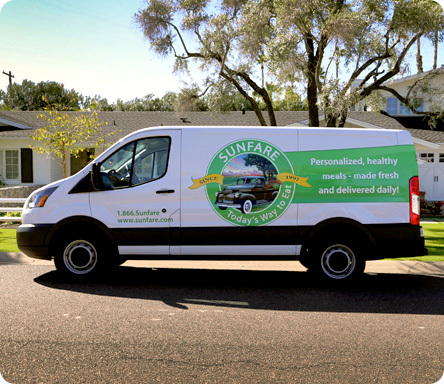 Your meals will always be delivered in a Sunfare van by a uniformed Sunfare delivery driver. They will also be packaged in an insulated and tamper-proof Sunfare delivery cooler to keep them safe and cold until you bring them inside. Inside your cooler you’ll find your food for the day. Be sure to read the labels to make sure everything looks right and to see which sides go with which entrees. Once you’ve started receiving meals, we’ll continue to deliver to you until your meal plan expires. It’s important to keep in mind that at this point, we’ll automatically restart your meal plan unless you call to let us know you want to cancel service. 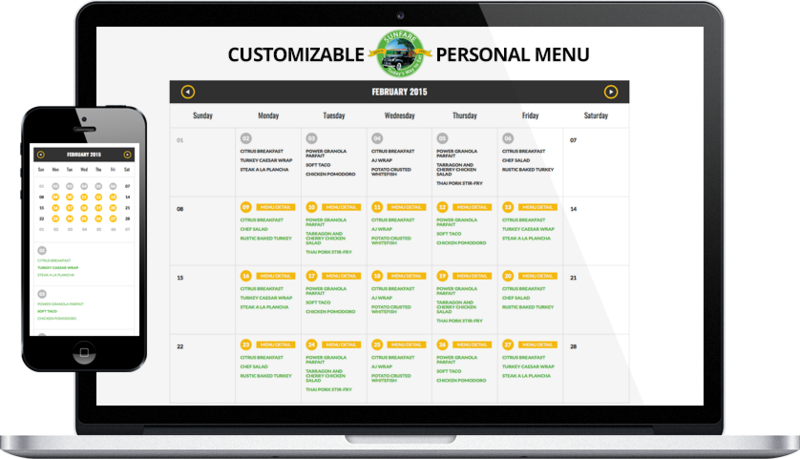 After your initial confirmation call you can start looking at and making changes to your menu. You can do this online by logging into your account or over the phone with your client counselor. Your menu will show you the dishes planned for the month ahead, and give you a huge selection of alternate dishes so you can customize it to your tastes and moods. All it takes is to see a dish on your menu you don’t want, find an alternate dish that sounds more appetizing, and either make the change yourself through your online account or let your counselor know. It’s fun, easy, and you’ll be a menu pro in no time. 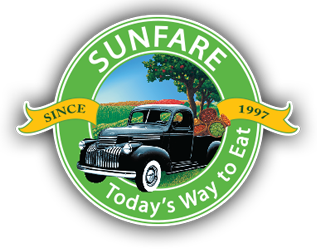 To make Sunfare the best it can be for you, we’ll ask you to look at our relationship as a two way street. On our end, we’ll assign you a client counselor who will be your personal contact within our company. Your counselor will check in with you periodically to be certain everything is in order and to ensure you’re happy with your meal service. And of course, your counselor is only a phone call away when needed. On your end, we only ask that if there is ever anything that we can do to make your experience better, please let us know. We want you to be completely satisfied and we’re always here to help. We hope to be serving you soon!